Parts wear out and break over time, especially in the automotive world. Good thing you trusted in an ever reliable and tough Land Rover. These parts were built to last and handle the toughest trails that this world has to offer. Even so, they will wear out and break eventually. When that time comes, you need to make sure that you are using the same durable and reliable parts that your Land Rover had when it was new. 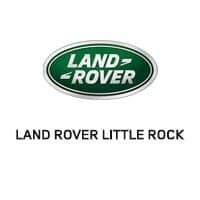 Trust in genuine OEM parts and trust in the parts that we have here at Land Rover Little Rock. We will make our inventory of parts available to you in Little Rock. We have an extensive parts inventory that you can take advantage of, and anything that we do not have, we can order in, get it fast, and still ensure that it is a high quality Land Rover part. Our team can install those parts for you too so that you don’t have to deal with it. You don’t have to worry about having special tools or equipment when you leave the job to us. Please use the buttons below to order parts or contact our parts department. We can be reached by phone at 501-661-0303.